Until recently, historians thought the first hospitals were built in England only after the Norman conquest of 1066. 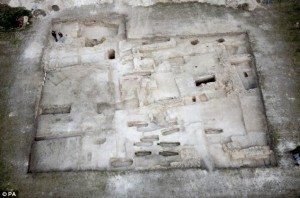 Radiocarbon dating of burials at the site of the former St. Mary Magdalen leper hospital in Winchester, however, return results ranging from 960-1030 A.D. Archaeologists also found artifacts, postholes and foundations that date to the same time. 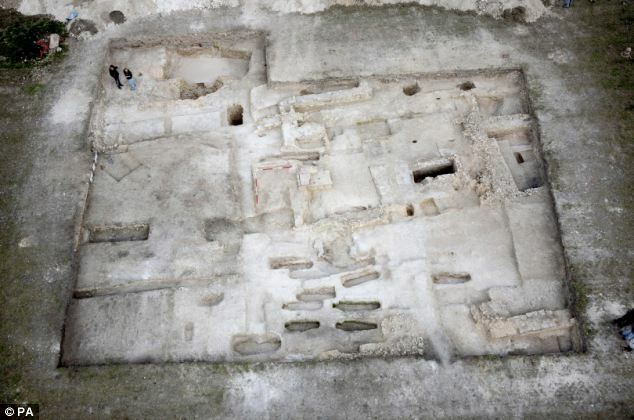 Before this excavation, St. Mary Magdalen hospital was thought to have been founded in 1170. Many of the bodies from the site that were found to date to the 10th and early 11th century show signs of advanced leprosy, so either St. Mary’s was founded earlier than previously thought, or it was built on top of an earlier leper hospital. Prof Nicholas Orme, a leading researcher on medieval hospitals, added: “I have only studied the documentary evidence but I could not find any such evidence for a hospital before 1066 except perhaps as an activity within a monastery or minster. Winchester at that time was the capital of England (London didn’t achieve that laurel until the 12th century, well into Norman rule) and the epicenter of religious reform. Monasteries were become more tightly regulated and were enclosing their properties. The hospital could have been a religious community of lepers, if not a traditional monastery, and evidence of community outreach in what is generally seen as a inward-focused, self-segregating reform movement. The earliest known hospital in England before this discovery was in Harbledown, Canterbury, founded in the 1070’s by Lanfranc, the then Archbishop of Canterbury, a man who aggressively put Normans in every possible position of importance, ousting native English officeholders no matter what their virtues and talents. He also foiled a plot by Saxon earls to assassinate William the Conqueror in 1075 by ratting out a confession, and would later be instrumental in making William Rufus the Conqueror’s successor to the crown of England. Finding a hospital that predates his by a hundred years is therefore quite the coup for pre-Norman England. This entry was posted on Friday, October 22nd, 2010 at 11:59 PM	and is filed under Medieval. You can follow any responses to this entry through the RSS 2.0 feed. You can skip to the end and leave a response. Pinging is currently not allowed. I suppose we shouldn’t be surprised, as there’s evidence that humans and prehumans cared for others. But outside of the home or a religious structure is unusual. Who were the carers, do we know? We don’t, not yet at least. There’s no documentary evidence and thus far the excavations haven’t uncovered identifying artifacts. Fascinating! Thank you for writing about this. Unfortunately, there are still 250,000 new cases of leprosy every year. FYI – The word “leper” reinforces the already strong stigma against leprosy and contributes to the heartbreaking ostracism sufferers face. Using the word “leper” today is considered offensive and “person affected by leprosy” is used instead. Thank you! I wouldn’t call a person with Hansen’s disease a leper today, but I think the term still has a use when describing a historical community, and of course in its figurative sense.